I always prefer a low, vertical centerpiece that doesn't get in the way of cross-talk during a meal — you can't get any lower than this one. For this you will need: an egg carton, a variety of cut flowers and a few plastic Easter eggs. Cut off the lid of the egg carton, open plastic eggs and place the lower half of each egg in the recesses of the egg carton. 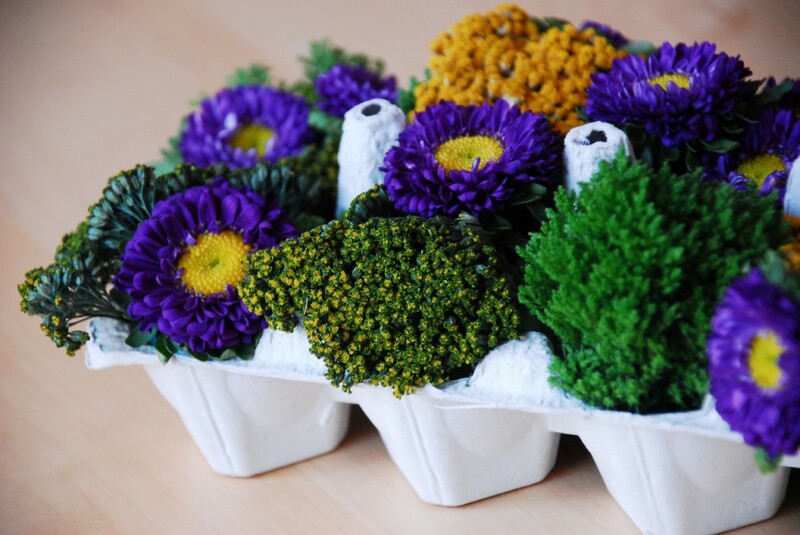 Fill plastic eggs with water and arrange with short-cut flowers. 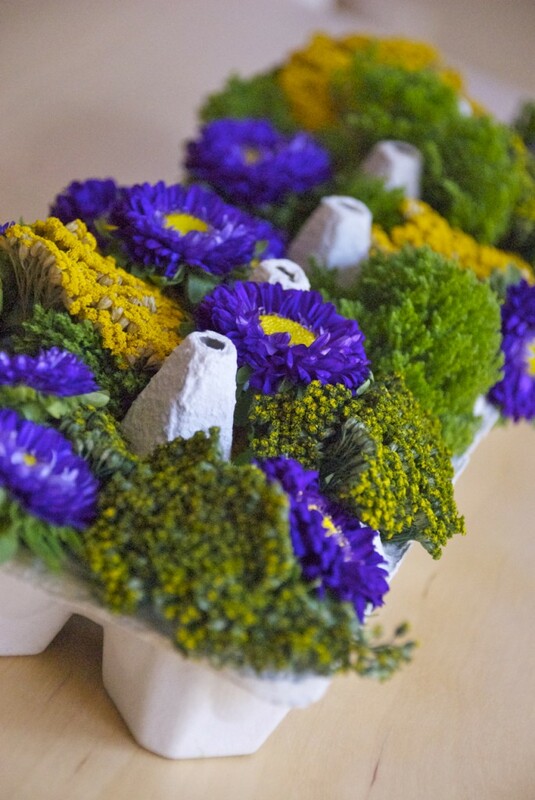 Smaller blooms work best for this – be sure to think about texture and color when making your selections. You are just SO clever…I absolutely LOVE it! such a great idea ~ and i love the easter egg / egg carton relationship. You are an inspiration, Camilla. This is Simple Perfection! Thanks for sharing your talent. Adorable! It looks so pretty and rustic. You have such a great eye. You could probably put a bloom in the little “separators” between the egg wells, too, if you wanted to hide them. Perfection! The flowers you chose are so beautiful and not just Easter-y. 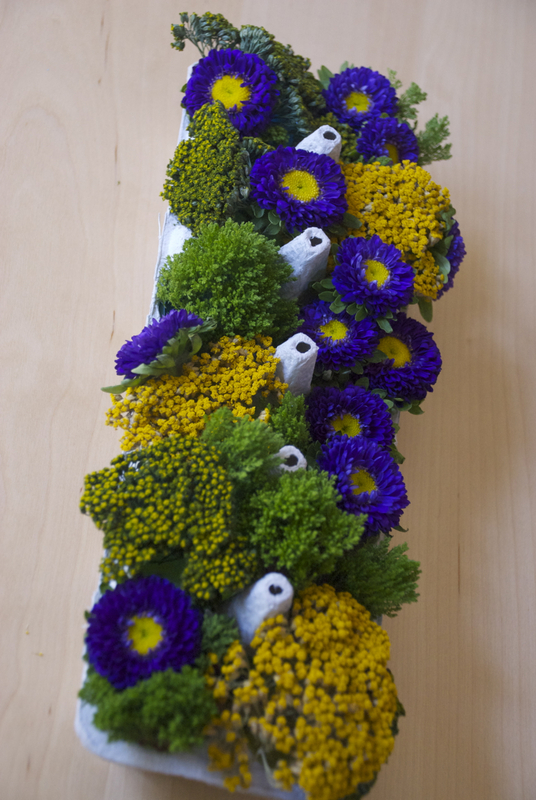 And I love making flower arrangements out of the mundane. You did just that! 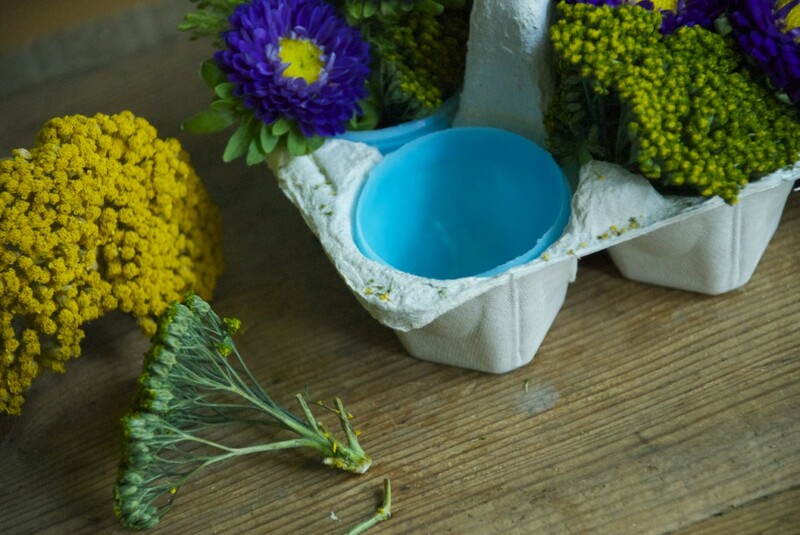 Who can re-use EGG CARTONS?? You! Also, I bet, if you make a few small holes in the bottom, you could easily water your flowers and keep them through Spring!